Beautiful 4th floor end Brookside has been fully renovated with granite in the kitchen and the baths as well as pull outs in all the cabinets. You will love all the pull outs in the pantry with the sliding doors. This unit is located across the street from the Clubhouse and next door to the Activity Building plus it's on the 1st hole of The Sabal Course! GREAT LOCATION!! Watch the sunsets over the 1st green while relaxing after a fun day of golf. Built in 2003 with high impact glass this condo is very well maintained and ready to move in to. A/C was installed in 2014 plus there is a new refrigerator. 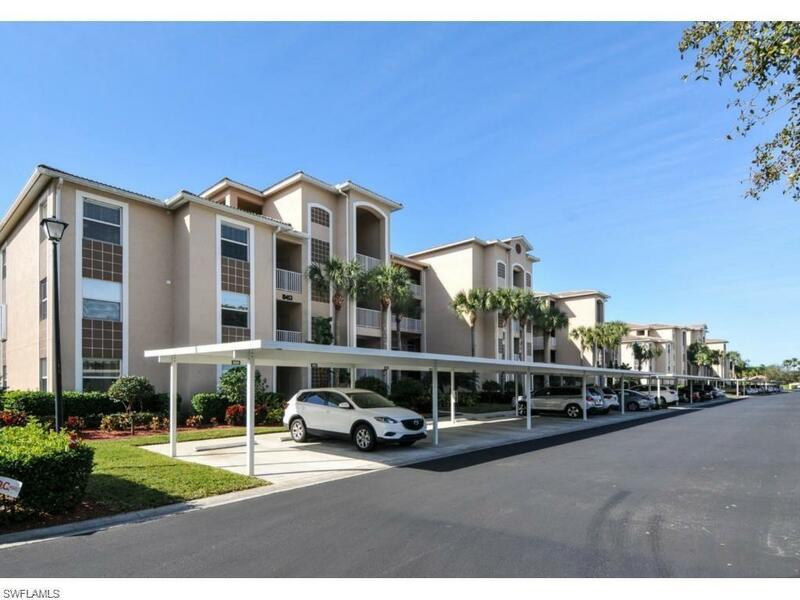 Heritage Palms is a very active bundled golf community with 36 holes of golf, tennis, pickle ball, table tennis, bocce ball, live music at the Tiki Bar on Friday nights, a very active Activity Director that will keep you busy. Not to mention the card clubs, book clubs, bike clubs, mahjong groups, sewing groups, bible study groups and many more. You will never be bored! A quick closing is possible so call for a showing and make this your new home.